FEATURES/SPECS Creating a professional appearance when you meet with clients, business associates, or a prospective employer is especially important, because first impressions are the strongest! Our leatherette notepad and pen set help you put your best foot forward in your interview or meeting, by keeping you organized and looking sharp! 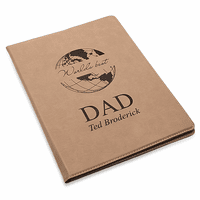 The notepad cover is available in tan or brown leatherette, with distinctive topstitching around all edges. 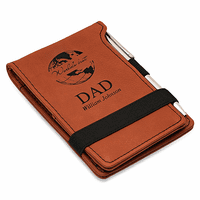 A wide brown woven elastic band holds the cover down, and a matching band holds a gleaming silver-tone pen. There's a receipt slot under the top flap that can also hold a business card or other information. 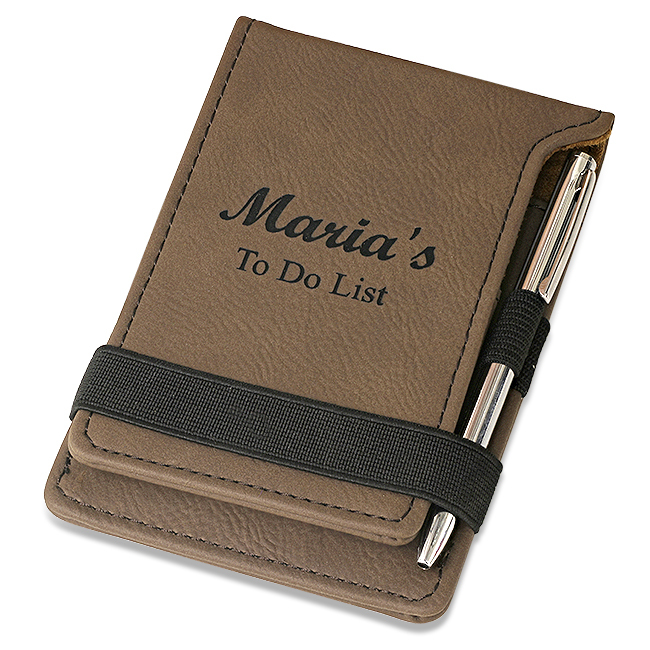 The set measures just 6 ''x2 '', perfect for stowing in your briefcase, messenger bag, or purse. 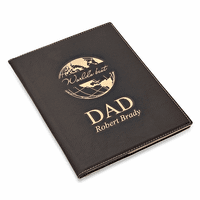 We will personalize the outer cover with your name and an additional line for text, such as your business title, company name, or purpose of the notepad. We will package your notepad and pen set in an attractive gift box, and we'll ship it right out, along with our Satisfaction and Performance Guarantee. Dimensions: 6 1/2" x 2 1/2"
I purchased this for my husband for Christmas. He wears EMT type pants to work and this fits perfectly in the side pocket. He has been looking for something like this for a long time. It appears to be very durable so with some refill pads he should be set for awhile.